As the new, tougher GCSE grading structure was this year extended to include more academic subjects – such as history, modern languages and geography, in addition to the core subjects of maths, English and the sciences – all eyes were on schools across the country to see how they would fare under the new regime. 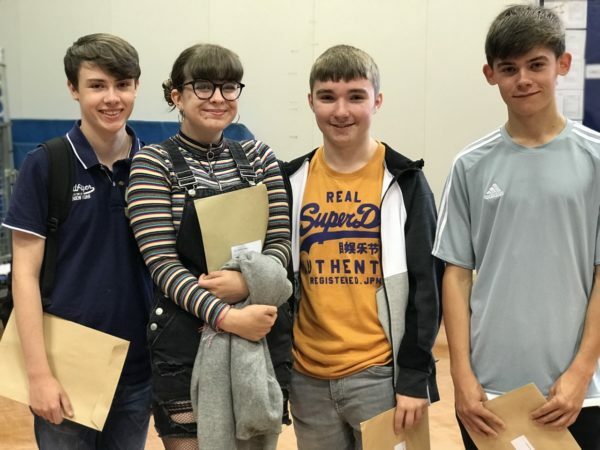 Many of our students within the Diverse Academies were hoping to also achieve the coveted highest grade 9 (the equivalent of A**), which is reported to be harder to achieve than the old A* – and with successes recorded across the board there was good reason to celebrate. Chris Pickering, CEO said: “It’s easy to focus solely on the attainment of our students on a day like this, and indeed we are thoroughly proud of what they have accomplished during their time with us. But we should also remember that our students achieve much more than a set of grades. They leave us having experienced a wide and varied curriculum, including the arts and sports, alongside having had access to a wealth of enrichment beyond the classroom – so vitally important in preparing our young people for the world of work and life beyond school. “My colleagues in all of our academies have responded with resilience and their usual drive to the significant changes the sector has faced, and I’d like to thank them for their commitment and the passion they show in all that they do. Our results are a testament to their hard work, as well as that of the students themselves. 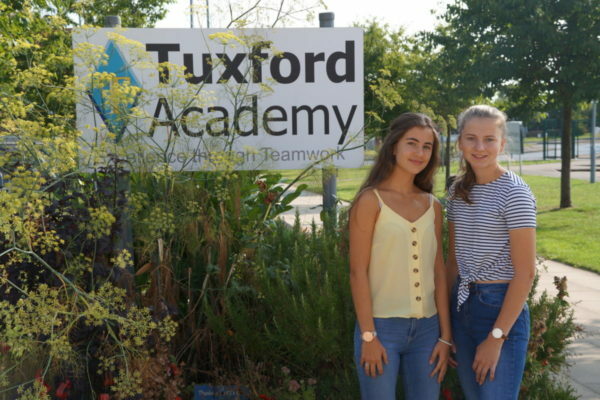 Further success stories included Tuxford Academy, where 85% of students achieved a standard pass or above in English and 72% in maths. Tuxford’s Erin Jackson achieved a fantastic set of results including four grade 9s, three A*s, one A and a grade 8. She said: “I’m so happy with my results, I’m now thinking of studying maths, chemistry and biology at A Level.” Another high achiever was Beth Sharpe, who gained two grade 9s, five grade 8s, one grade A and two grade 7s. She plans to stay on at the academy to study maths, chemistry and physics. At Walton Girls’ High School – which once again saw high pass rates including 85% achieving a standard pass or above in English and 73% in maths – recorded overall attainment increases in every subject, continuing the upward trend of the results of the academy over the last three years. 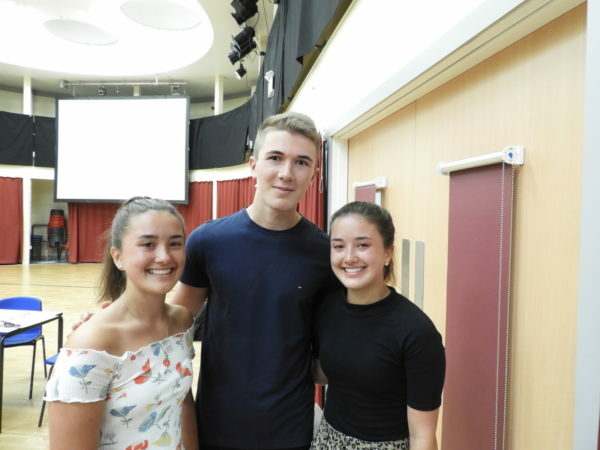 Outstanding individual achievements included Elena Boby who secured two 9 grades, five 8 grades and two 7 grades, and Milena Poraj, who also did amazingly well gaining one 9 grade, three 8 grades and four 7 grades. 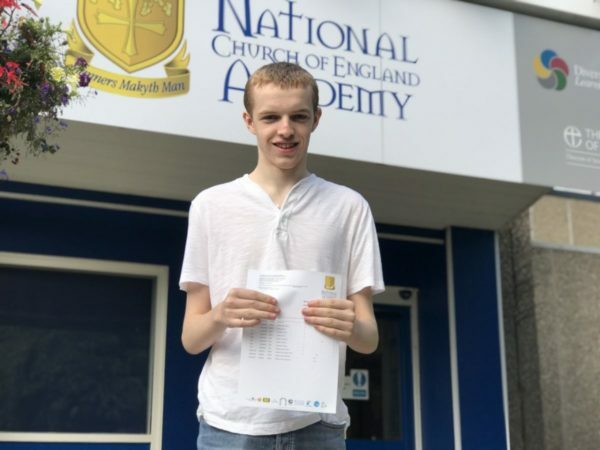 There were further great individual success stories at the National Church of England Academy, where 13% of students gained the top grades 9-7, 33 of which were the highest grade 9s. Amongst the notable individual successes were Ben Millward, who achieved an impressive seven grade 9s, one 7 and an A. Ben said of his achievement: “It feels pretty good to have achieved these results – it’s hard to sum up all of my emotions, but a mixture of relief and excitement. I am looking forward now to going to Hucknall Sixth Form Centre to carry on my studies and am aiming to go to university in the future.” Other successes also included Henry Parker, who gained five grade 9s and four grade 8s, and Fiona Gordon, who achieved three grade 9s, four grades 8s, an A* and a grade 7.